I believe having the strength of curiosity is a wonderful gift. When you are curious, you pay attention; ask more questions; express interest; and wonder more. Without it, you can fall into the “I already know” trap; assume far too much and too often; miss opportunities – to clarify and/or to connect with others. Curiosity is, in fact, one of the secret ingredients I highlighted in a recent article on how to feel more comfortable and be more effective in networking conversations. Being curious about others allows you to more authentically connect in any context and takes away that ‘icky’ feeling associated with faking a conversation. Curiosity is also essential in navigating difficult conversations; avoiding misunderstandings; and promoting healthier conversational dynamics. Without a doubt, curiosity is a primary ingredient in Conversational Intelligence®. And recently, I discovered yet another amazing benefit of curiosity: it helps us navigate change and ambiguity with more trust and less angst. This insight came to me during a conversation I was having with a coaching client who was dealing with a sea of change in her life. This woman whom we will call Zoe (not her real name) had experienced massive change in the past few years. She had been enjoying a steady, fulfilling career for many years and had been married to the love of her life. Sadly, her husband got ill and passed away. Suddenly everything had to change. She moved across the country to be closer to family – and had to find new work and rebuild her life. By the time we met, she had already been settled into the beginnings of a new chapter in her work and life, but she was still exploring further career changes as her current role wasn’t permanent and there were still uncertainties for her future. While she still had to live with immense grief she somehow managed to rise above that and concurrently find a way forward. What stood out for me about Zoe was her vibrant sense of curiosity. Rather than being daunted by the unknowns, she leaned in with a sense of wonder and embraced opportunities to learn – about herself and the many possibilities to be explored. She found every exercise and invitation to look at things (herself, her possibilities) as interesting. As she explored with me, she still had many questions and no immediate answers. Yet, her curiosity and sense of wonder seemed to hold steady even as we acknowledged the ambiguities. It seemed to me that her strength of curiosity – and her love of learning — significantly helped her navigate the bumps, changes, and disruption in her life with more optimism, trust, and grace. Zoe’s story brings to light the magic of curiosity…. Curiosity helps us navigate tough situations; develop better relationships; understand ourselves more deeply, understand others, and bring life and its moments more alive! But what if curiosity isn’t one of your natural strengths? That’s the cool part. 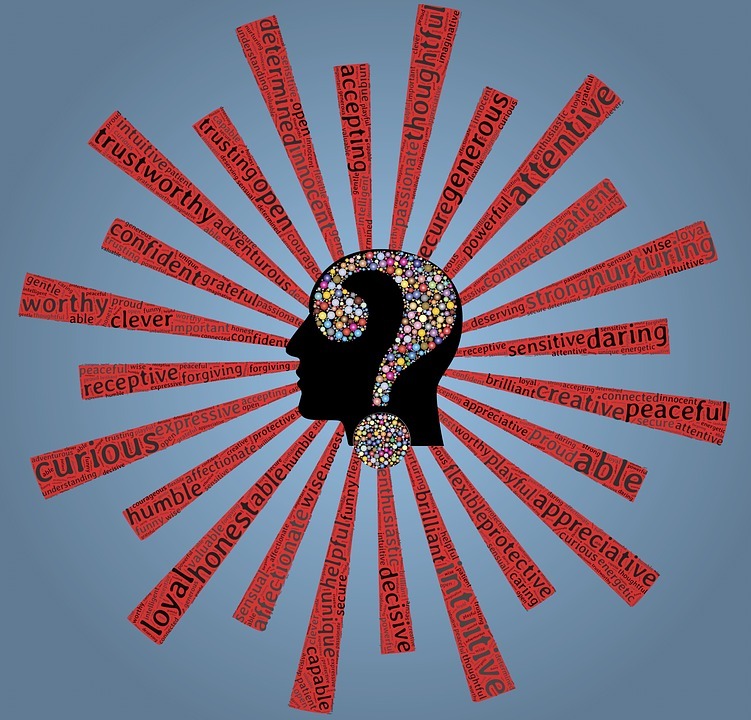 Curiosity – like many Character Strengths can be further cultivated. Here are a some ways you can cultivate your curiosity and get your own ‘power tool’. 1) Assume Less – Wonder More. When the status quo changes, it might feel like a threat. When we feel threatened we might be more apt to rush to judgments. We create stories, assumptions, and conclusions. Notice the moments when this occurs in your life and learn to pause the quick assumptions. Instead, try on ‘not knowing’ even for a little bit. Check in on your assumptions and invite your curiosity. Asking possibility questions (to yourself and to others) helps reframe a situation to a wider lens. Open your possibilities and perspective up by asking questions that you don’t have answers to but would merit some thinking. This doesn’t mean you are ignoring risks – but it does invite other ways of thinking about things that are not solely focused on threats. Ask yourself: What else might be possible? What of my strengths will be important to help me through this time? What might be the good that can come out of the seemingly scary, unknown situations? I wonder what opportunities this could bring? I wonder if I gave it a chance what I might learn? I wonder what the gifts are in this tough situation? I wonder what others are thinking? I wonder what assumptions I am making that might be challenged….? This list of questions is endless. It’s important to ask the questions but be careful not to rush to the answers. Living in questions for a while — even without the answers — has merit. Read on. It’s in this space of ‘not knowing’ that new wisdom can emerge. When we rush to find our answers or to force certainty in uncertain situations we can close ourselves to better thinking and better questions. Notice when you are rushing and trying to force answers and see if you can be a bit stiller and create some quiet in the unknown. That’s why holding a space for ‘wonder’ and curiosity with a gentler mind can bring waves of insight and trust when you least expect it. 4) Learn about your strengths and get even more curious about them. Far too many people know far too little about their own strengths. It’s time to get curious about your own strengths. Curiosity is just one of many character strengths that can help us navigate our lives with more alignment to our values, more fulfillment, and greater efficacy. There are many ways to learn about your strengths. 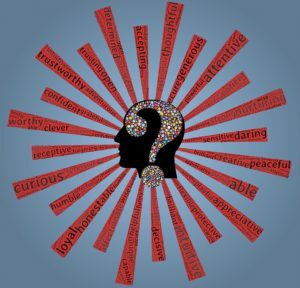 You can brainstorm; ask others what they think your strengths are; mine and discover your strengths from success stories. And use assessments to reveal some to you. The VIA Character Strength Assessment is a fabulous tool to help you learn about your own Character Strengths. It’s a self assessment so the results are how you see the list of 24 strengths stack up in order of salience. The free version simply gives you a ranking of all 24 of them. The fuller versions – for a modest fee – provide a more detailed picture. Go ahead try it out. Curiosity — a page devoted to the Curiosity virtue…scroll down and see all the gems! Here’s to living a good, curious, authentic life in all its facets!